Award Year: 2008 Despite increased attention to the disturbing problem of disparities, certain groups of Americans remain healthier than others, due largely to differences in race and ethnicity, income, education, residential segregation, and other social factors. Co-PIs Alberto Palloni, Ph.D. and Carolina Milesi, Ph.D. seek to better understand the mechanisms that lead to health gaps by probing the connections between child and adult health. Their project, Early Childhood Conditions, Reproduction of Socioeconomic Inequalities, and the Persistence of Adult Health Disparities, employs innovative methods to study how pathways to fair or poor health in adulthood unfold from early childhood. Drs. Palloni and Milesi analyze a host of factors, including the effects of parents' socioeconomic status, their health and use of tobacco and alcohol, child health outcomes, development of personality traits such as tenacity and perseverance, exposure to stressful environments, and educational attainment. Project findings should help improve the design of strategies aimed at reducing disparities by identifying options for mitigating the consequences of poor health in children. Demographer and sociologist Alberto Palloni is Samuel H. Preston Professor of Sociology, Emeritus at the Center for Demography and Ecology at University of Wisconsin-Madison. Previously he was Board of Trustees Professor in Sociology and a Faculty Fellow at the Institute for Policy Research at Northwestern University. Prior to that, he was H. Edwin Young Professor of International Studies and Sociology, also at the University of Wisconsin-Madison. He holds a Ph.D. in sociology from the University of Washington and a joint B.A./B.S. from the Catholic University of Chile. Dr. Palloni is a member of the American Academy of Arts and Sciences, a National Institutes of Health Merit Scholar, and a past president of the Population Association of America (2006). He is also a past fellow of the Guggenheim and Ford foundations, Stanford's Center for Advanced Study in the Behavioral Sciences, and the Center for Mathematical Statistics-CIENES at the Organization of American States. The author of more than 100 journal articles, publications, and scientific reports, his current research investigates the relationship between early health status and poverty and inequality in the United States; determinants of health and mortality disparities among ethnic groups in the United States; families and households in Africa and Latin America; aging and mortality in Latin America and the Caribbean; and the application of mathematical and statistical models to the study of health and mortality determinants, social stratification, and the spread of disease. He is particularly well-known for his role in describing the devastating consequences of HIV/AIDS on family structure in sub-Saharan Africa in the early 1990s. He continues to teach on a wide range of topics from sociology and population/development to statistics and models of morbidity and mortality. 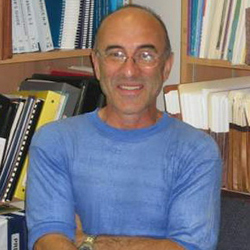 As a specialist in population health and ethnic disparities, Dr. Palloni has worked with numerous national and international organizations, such as the U.N. Population Division, National Research Council's Committee on Population, World Bank, World Health Organization, Pan American Health Organization, National Institute of Child Health and Human Development, and U.S. Department of Commerce. His research has been supported by the National Science Foundation, Rockefeller Foundation, and National Institutes of Health, among others. He has served on several editorial boards, including those of Demography and the American Journal of Sociology. Palloni, A., Milesi, C., White, R.G., Turner, A. Early Childhood Health, Reproduction of Economic Inequalities and the Persistence of Health and Mortality Differentials. Social Science & Medicine, May 2009, 68(9): 1574-82.